The number of internal links, which can be seen as one of the most important ranking factors, has fallen dramatically. It is therefore not the sheer volume of internal links that is important, but the implementation of a concise and relevant internal link structure. Optimizing how accessible sub-pages within a domain are is the only way of guaranteeing that search engine bots can effec- tively crawl them. At the same time, a logical link structure can contribute strongly to a user-friendly experience across the whole domain. SEO articles abound on social media linking strategies. SEO blog posts are legion on the topic of link and widget bait. SEO forums buzz endlessly about reciprocal versus one-way linking. There is no doubt that all of those various types of external, inbound links matter. 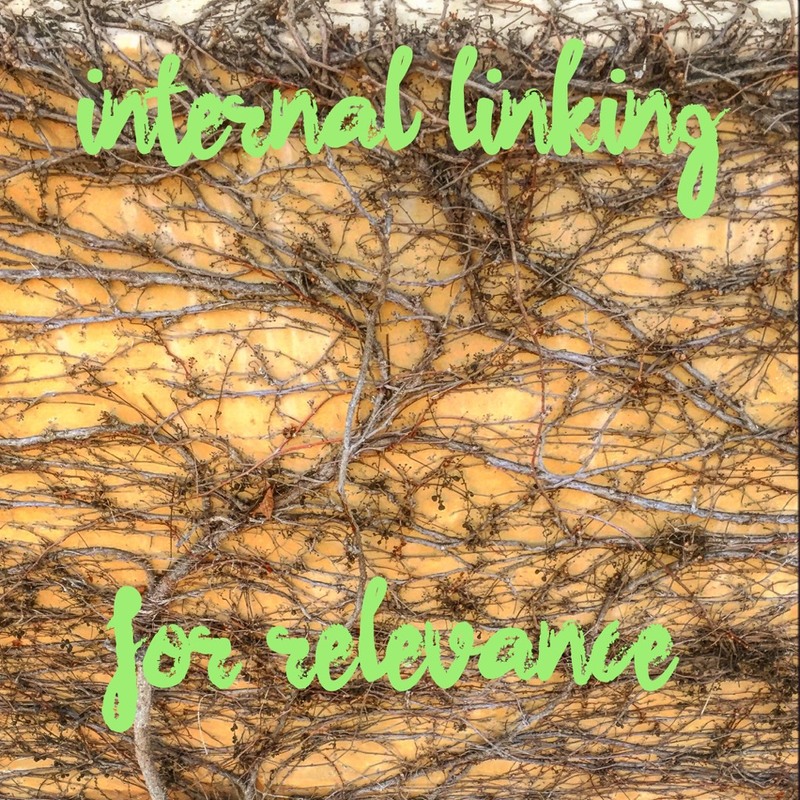 But how often do we discuss internal linking strategies? This made me reflect on the less strenuously debated SEO strategies that are crucial to ranking well for specific keyword phrases. Since internal linking is so important to SEO, but rarely discussed, I often wonder how many SEO’s truly comprehend the importance of internal interlinking of pages and how critical outbound links are to ranking well in the search engines. Let’s try to remedy that and raise the level of internal linking strategy discussions to at least a whisper, because the level of discussion on the topic now is barely audible. This type of link can vary by type of site. Ecommerce sites would use one type of structure, while informational sites would use a different hierarchy. These high level link structures define what you think is important and point visitors (and search engine robots) to an overall structure. Your opinion of what matters to your site informs the search engines. If your site is loosely organized by randomly linking internally, you may be randomly ranked. This is where many lose focus and fail to map internal structure for either search engines or visitors. Newspapers and large informational sites that rank very well will always use “Related Stories” pages. There are at least a couple of good reasons for this. The first is usability and the second is topical relevance of the page. Many sites lose focus and use “Most Popular” links to pages unrelated to those they are on. This dilutes the relevance and topicality of the page by looking at the site as do tag clouds on broad ranging topical sites with many areas of interest. This link probably ranks in importance at the top of the list here, but without those elements above them, single item links lack structure that search engines crave and don’t help as much as they do when that larger structure supports them. So now is when I point to the site we all love to hate, WikiPedia. I’ll argue that this single factor, added to the supporting heirarchical structure of WikiPedia is what makes it rank so extremely well for nearly every topic you can think of. WikiPedia links internally to every page, every time a word or phrase with it’s own page is mentioned. Every page, every time, site-wide. If any topic has a page, anywhere on WikiPedia, it links from ANY use of that word or phrase back to that page ABOUT that word or phrase. This is the magic bullet, but is only important within the overall structure. OK, this is the internal link we all agree on and rarely question. It’s accepted and necessary, again, from both a usability standpoint and relevance. The site index list of links to every page (or to subindexes of pages). Since nobody questions that sitemaps matter, I’ll stop there. Now comes the controversy, the raised blood pressure, the nofollow tags and the standard “company policy” against outbound links. This is where I simply have to point at blogs. Search engines like them in many cases because they reference external sources, they quote multiple viewpoints and link out to them. In some cases bloggers are paid to link out to external sources. I’ll baldly state my opinion here and leave it to your own experience and “company policy” to decide your own outbound linking strategy. Outbound links increase relevance of the pages they are on when they link to supporting information externally. I’ll put it differently for those with the puzzled look on their faces. Outbound links increase your search engine ranking. So now I’ll hope that at least my fellow SEO’s will begin discussing this, offer case studies, offer anecdotal evidence, point to random examples, try to prove me wrong – but let’s TALK about internal linking and raise it’s importance. Talk enough that apprentice level SEO’s know that it matters how we link internally and how we link OUT. Do a little SEO self-reflection and reassess your internal linking strategy. Mike Valentine is an SEO Specialist offering occassional commentary on Search Engine Developments through his Reality SEO Blog and developed WebSite101 Small Business Ecommerce Tutorial in 1999 to help educate the little guy to the intricacies of online business. At last, another SEO who is amazed by lack of commentary and passion about internal linking strategies. I have compiled a gallery of internal linking approaches including the ones you mention such as sitemaps (in this case shown for individual products). You have a great list there of internal linking approaches, but I would also include site footers, section-specific navigation and persistent search results (although Google tends to add those to the supplementals). At Last indeed! Why is this never discussed? When it is, there is a bit of “Aw, C’mon” type of disagreeement from SEO’s who have never given internal linking any thought. I’m glad you agree it is important. I’m curious how you feel about outbound links and their effect. Yes, I agree on that too – particularly the 4 guidelines on Problogger. If you look at the way PageRank is calculated then they should reduce the PageRank, but that formula dates back to the mid 90s and there are obviously other factors, particular hub/authority concepts at play which outweigh this. On my blog I try to include at least one topical outbound link early in the post. I would restrict myself to fewer than 10. That’s fine if you’re a blogger, but if you’re an enterprise site as many of my clients are, then that’s not practical – although they should review opportunities for external linking and not kill it through policies. But that takes us back to internal linking strategy many opportunities for internal topical linking near start of a document are missed because content owners don’t know SEO principles – this can’t be left to SEOs or maybe the CMS makes this difficult. We should stop agreeing – its not cool! Aside from the good use of well-chosen navigational aids whats the feeling about actual site structure? Should we clearly define “hub” and “info” pages on a site with our site structure and – more importantly – are they recognised by the search engines and have an effect on ranking? I have my own hunches but the data miner in me loves having some solid data first to back them up, something I’ve not yet had a chance to do! Also is it something that may have an effect on the SiteLinks Google displays – the additional pages shown in some number one rankings? Instead of talking about it, I did it. 48 hours later, page 1 position 8 – from page 2 position 14. Seems to work for the time being. I did this on my personal site, and withhold application to a clients’ site until further analysis. Great piece of advice, if position holds.